Theanine reaches the brain within an hour remains elevated for up to 5 hours. I originally supplemented with l-theanine because I had high levels of TGF-beta 1. With L-theanine my blood pressure was reduced and I also had a calm but alert sense of focus and clarity. I take it on an empty stomach, in the morning and evening. I prefer not to get theanine from tea, since tea is high in tannins. 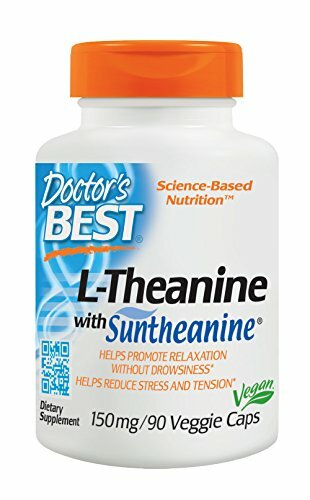 I use Suntheanine from Doctor's Best. When I make Super Coffee, I use the pure powder. I'll also use sublingual form.